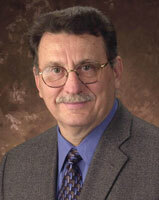 Dr. Terézhalmy is Professor and Dean Emeritus, School of Dental Medicine, Case Western Reserve University. In addition, he is a Consultant in Oral Diagnosis, Oral Medicine, and Oral and Maxillofacial Radiology, Naval Postgraduate Dental School, National Naval Medical Center. Dr. Terézhalmy earned a B.S. degree from John Carroll University; a D.D.S. degree from Case Western Reserve University; an M.A. in Higher Education and Human Development from The George Washington University; and a Certificate in Oral Medicine from the National Naval Dental Center. Dr. Terézhalmy is certified by the American Board of Oral Medicine and the American Board of Oral and Maxillofacial Radiology (Life). Dr. Terézhalmy has many professional affiliations and over the past 40 years, has held more than 30 positions in professional societies. He has served as editor or contributing editor for several publications, co-authored or contributed chapters for several books and has had over 200 papers and abstracts published. Dr. Terézhalmy has accepted invitations to lecture before many local, state, national, and international professional societies.